A modern take on a simple design classic. The classic folding deck chair has been modernised and weatherproofed with our Xanthus outdoor chair. 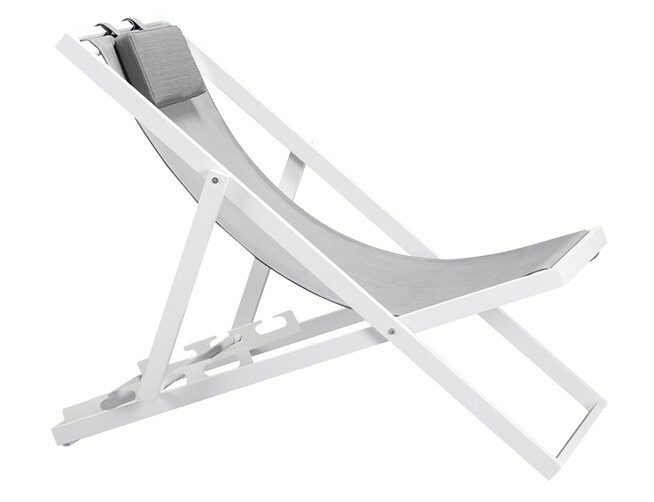 The tearproof, stretch-resistant textilene sling on this deck chair is slung across a strong, lightweight, powdercoated aluminium frame to form a very durable deck chair that can stand up to harsh New Zealand weather conditions. Xanthus is very comfortable too, with the built-in sling pillow. It's light weight, portability and ability to fold right up makes it a perfect chice for beach homes, campervans or just about any other relaxing use. A textured champagne frame with khaki sling, or a mocca coloured frame with a coffee sling. 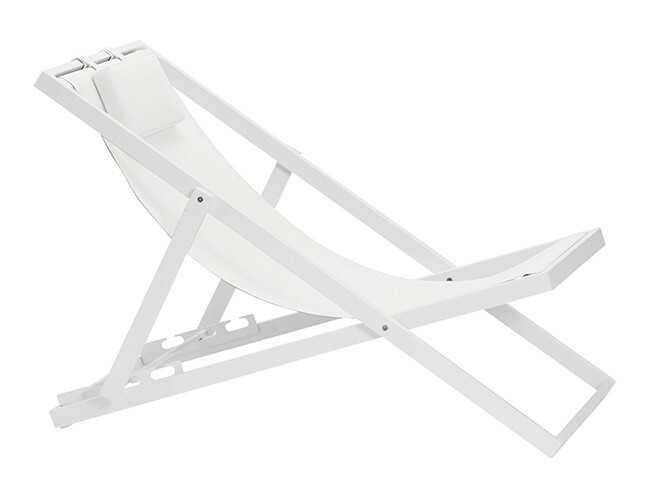 Xanthus deck chair is even more comfortable with the optional Xanthus footstool. 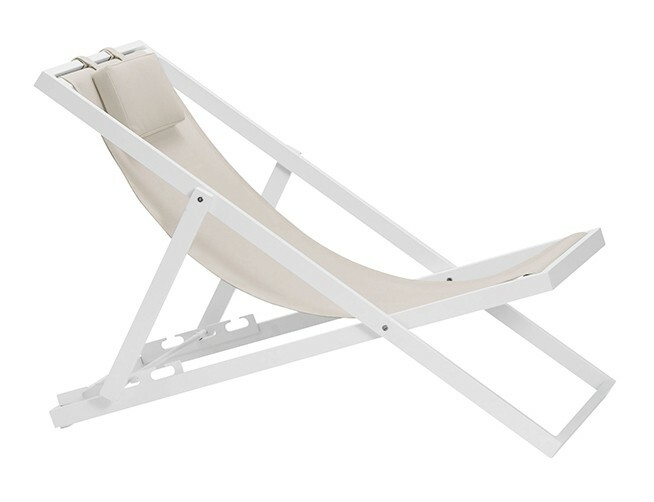 This turns the deck chair in to a full lounger. The Xanthus stool is also a handy in its own right. A matching round side table, Apollo, is a perfect complement to this deck chair. The sling material is of high quality, using materials supplied by Phifer of USA or Win Tech of Taiwan. Both are excellent quality sling fabrics, the source dependent on the sling colour. This hard wearing fabric made from reinforced, coated PVC is very strong and will not tear. It resists stretching and staining and is easily cleaned. It has a high level of resistance to colour change, particulary applicable to our strong NZ sunlight conditions. 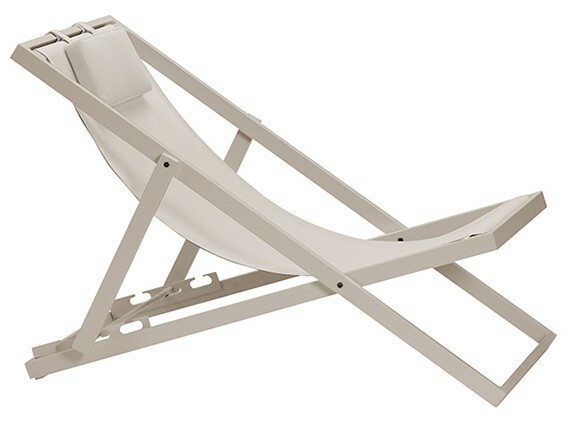 Find other ideal Sun Lounger product.